at least in nashville, its hard to do just about anything without someone talking about essential oils. i consider myself lucky that our city seems to be very natural healing friendly. 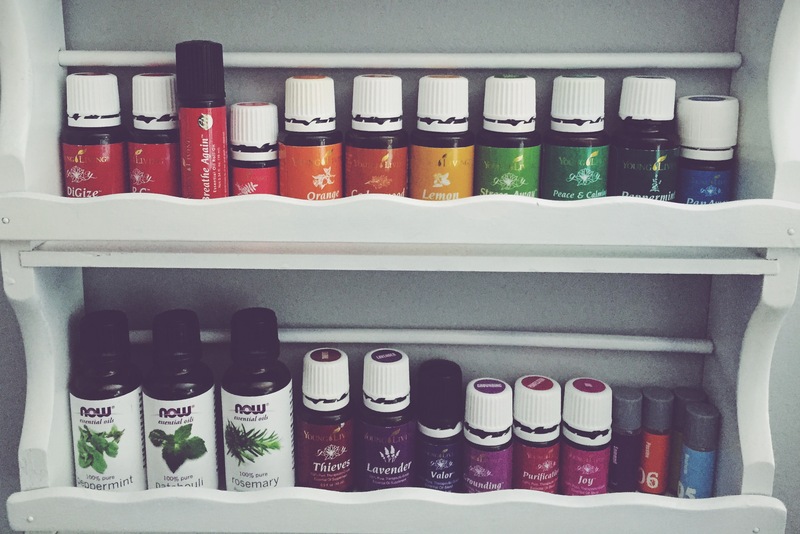 but – with everyone and their mother talking about them, its super easy to think of oils as a fad or the next Amway. and honestly, that’s why I’ve used them for over a year and haven’t said much about them. 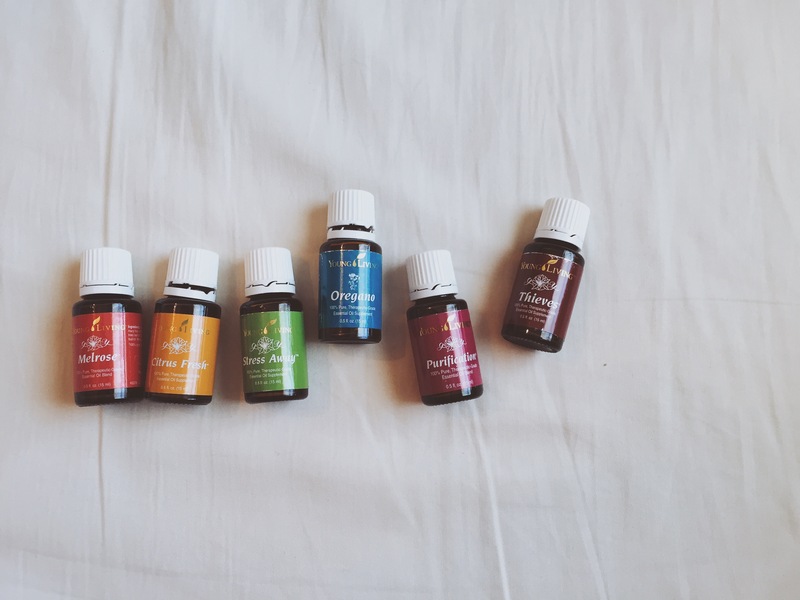 but, i’m slowly getting over the fear of seeming like a dirty hippy and am starting a series of posts for those people who are considering bringing essential oils into their home. be on the lookout for future posts with *my* suggestions for some starter oils, some diy blends and uses, my list of travel oils and more! i want to start off sharing some basics of essential oils and some safety rules. yes essential oils are natural but that doesn’t mean they can’t hurt you. not all oils are created equal and 100% pure, therapeutic grade oils are POTENT and can be harmful if you don’t know what you’re doing. and – a notice – i am not a medical professional and don’t pretend to be. i assume you’re doing your research and i encourage you to do lots of it. don’t take my word as your only word. with that out of the way, lets jump in! essential oils can be used in 3 different ways, diffusing, applying topically (to your skin), and taking internally. lets break each one down. this is the act of putting the oil in the air for use in a space, making it smell fantastic. many oils have therapeutic properties that are absorbed by the body by breathing them in. some rules with diffusing: don’t use an oil burner – heating the oil destroys the therapeutic properties and by doing so – you just made a really expensive air freshener. which if that’s what your going for – awesome! if not – look for a diffuser. most essential oil companies sell them as well as Whole Foods – even Target has a “travel humidifier” that can be used as a diffuser. 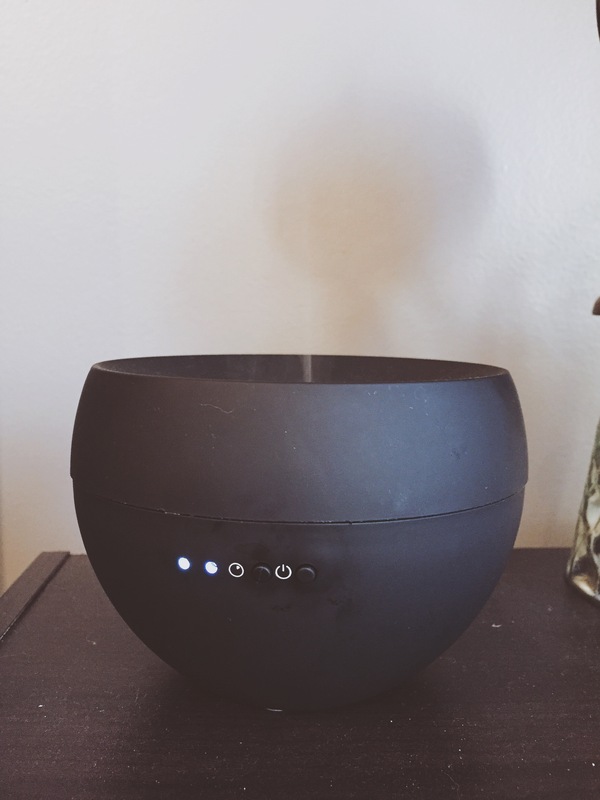 an oil diffuser contains an ultrasonic membrane and works by vibrating the oil and water into a mist and putting it into the air. always use distilled water in your diffuser, wipe it out with vinegar on a towel regularly and never diffuse wintergreen. it can destroy your diffuser and if not – you might never get the smell out! less is more so start out with 2-3 drops of oil to see how that fills your room. this is the act of putting the oil on your skin, which in case introduces it into your bloodstream. this is the quickest way to get it into your body. there are 2 big basics to share; when in doubt, dilute. like i said above, oils are extremely potent. most of them when used on the skin should be diluted with a carrier oil. 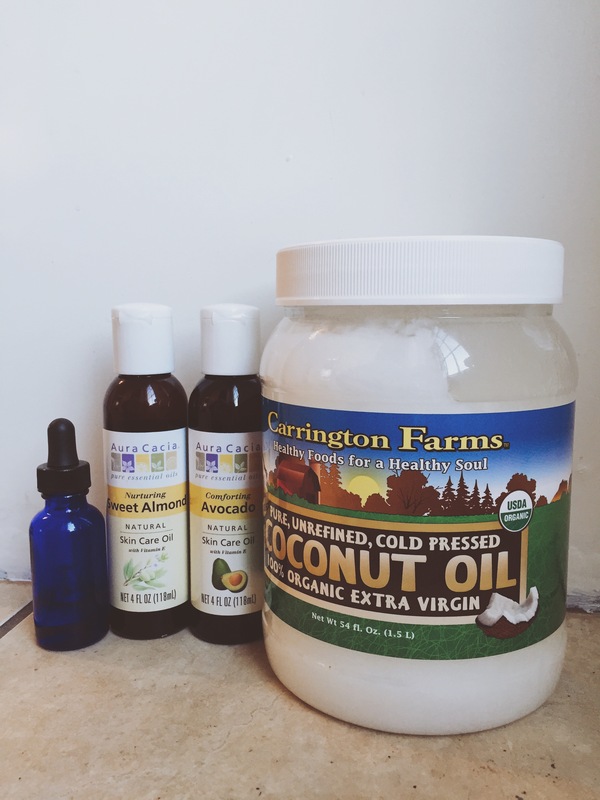 what is a carrier oil you ask? it is any other oil you have. olive, avocado, almond, coconut, etc. most essential oil companies sell their version of carrier oil but we buy the massive thing of organic coconut oil from Costco so we just use that. as with everything, organic and minimally processed is best. usually 1:1 dilution ratio will do. ALWAYS dilute when using on kids. always start with one drop of essential oil; i’ll say it again, less is more. when in doubt, put on the bottom of feet – if you have a problem area, you can apply it directly to the area – but when in doubt, always go for the feet. NEVER put it in your ears or eyes. let me stress that this should only be done with 100% pure, therapeutic grade oils. personally i use Young Living when taking internally. DoTerra is another great company out there. DO YOUR RESEARCH before buying and especially taking oils internally. always follow your healthcare providers advice, as well as how the company suggests you use the oils. 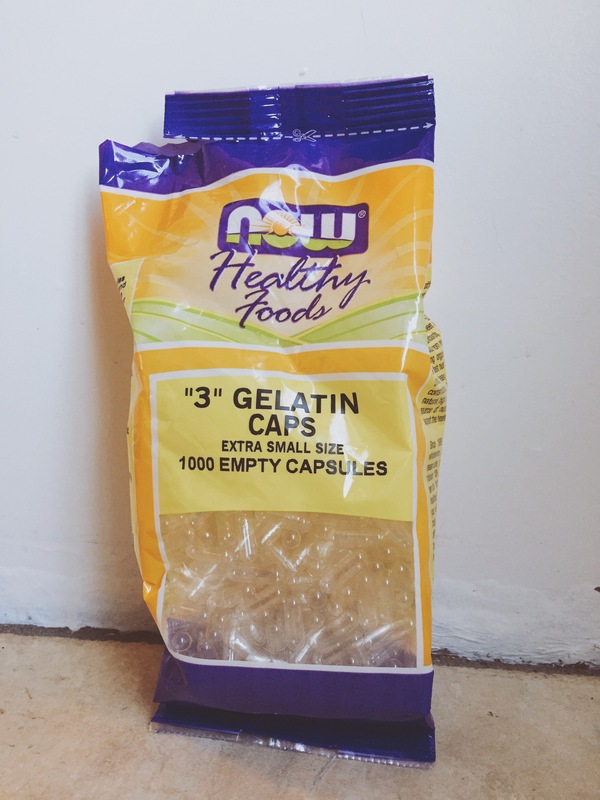 you can buy empty pill capsules to put drops of oil in (with a carrier oil), you can add them to water or food, mix a drop or two in a spoonful of honey, or if you’re really brave, you can drop some straight onto your tongue. that last one is not for me! a special note on mixing oils with water to drink – always do this in a glass bottle. citrus oils in particular can leach unwanted contaminates from plastic – and you don’t want to be drinking that. ps – i got my capsules from Whole Foods but they are available at most health food stores & online, & come in multiple sizes. LESS IS MORE – always. especially when taking internally. did i say that enough in this post? IF YOU’RE PREGNANT, TALK TO YOUR DOCTOR – not all oils are safe for pregnancy. don’t do it unless you’re sure. USE COMON SENSE – i mean, come on. essential oils aren’t a replacement for the doctor. a replacement for lots of over the counter medicines, yes. but use your brain, please. KEEP OUT OF THE REACH OF CHILDREN, of course. again, i am not a medical professional and don’t want to be. use oils at your own risk and consult your doctor. but – feel free to shoot me questions and i’ll answer them to the best of my ability! as always, let me know if you’re interested in purchasing anything in from Young Living!